This 5.5 oz. 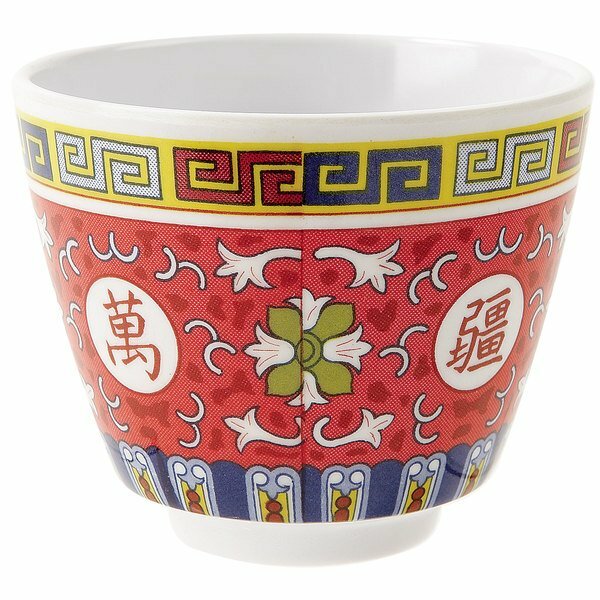 GET Dynasty Longevity tea cup features a vibrant, multi-colored oriental background that will enhance the presentation of your Asian tea service. 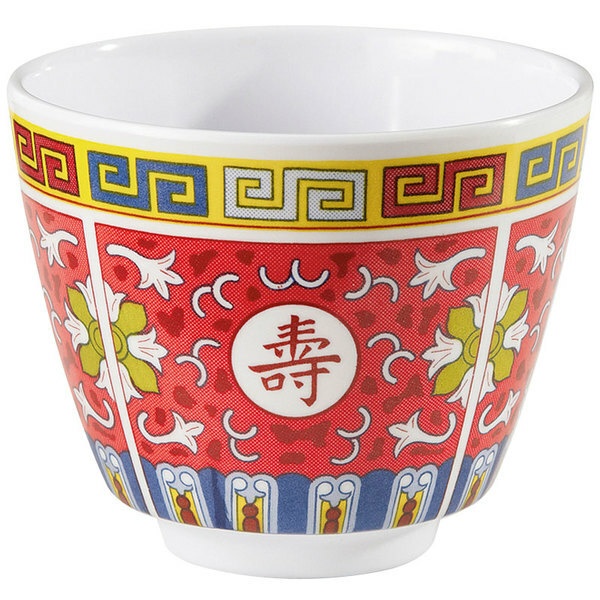 The vivid pattern and border contrast with the cup's bright white background to complement any food presentation.